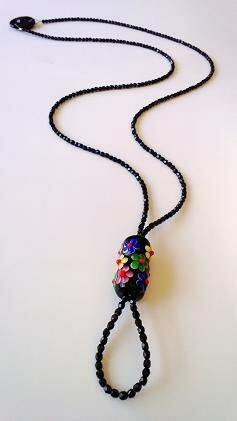 A simple, yet stunning necklace...is what I tried to achieve with this one! 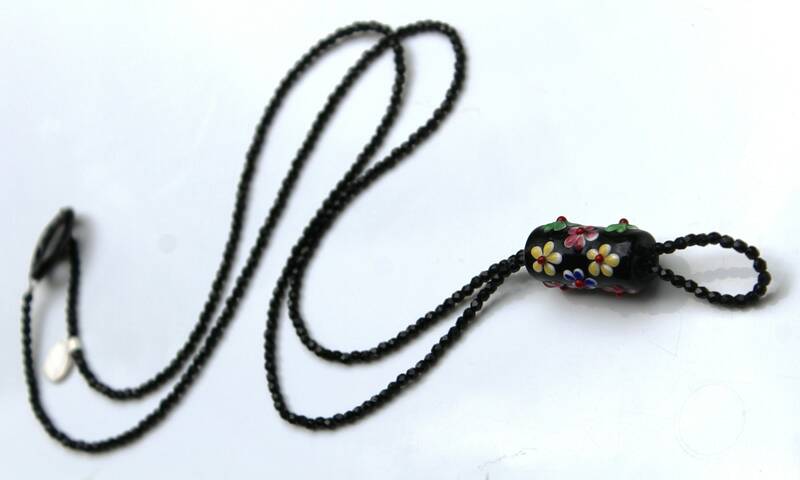 A stream of more than 300 black glistening glass beads are used to make this long beaded necklace! 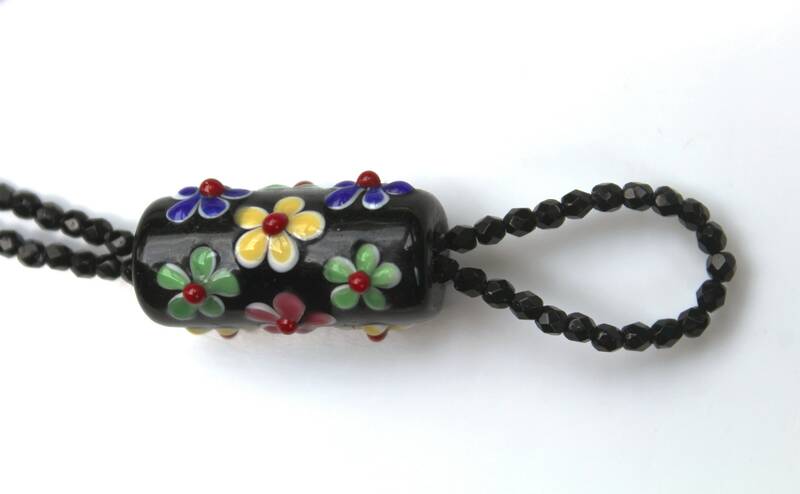 The glass beads flow through a handmade rectangular glass tube (30x18mm) of hand-painted flowers at the bottom. 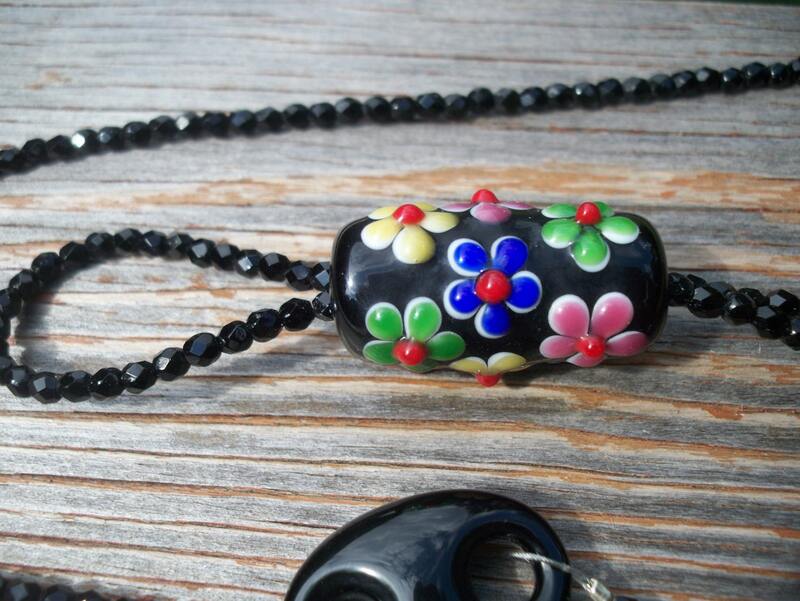 A black onyx link holds the wires together, so there is no clasp to worry about! 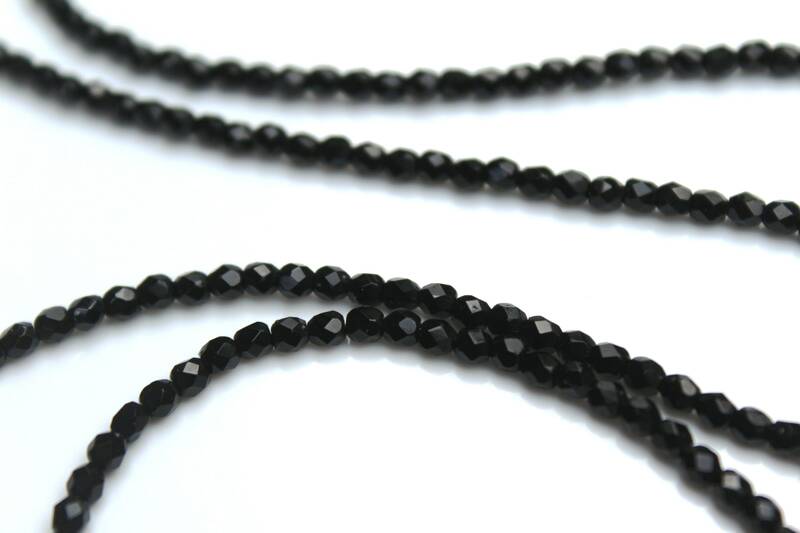 The onyx link itself is so pretty, but also allows for a "no clasp" design. Just place it over your head and go! I so appreciate that when I'm in a rush and trying to get ready! 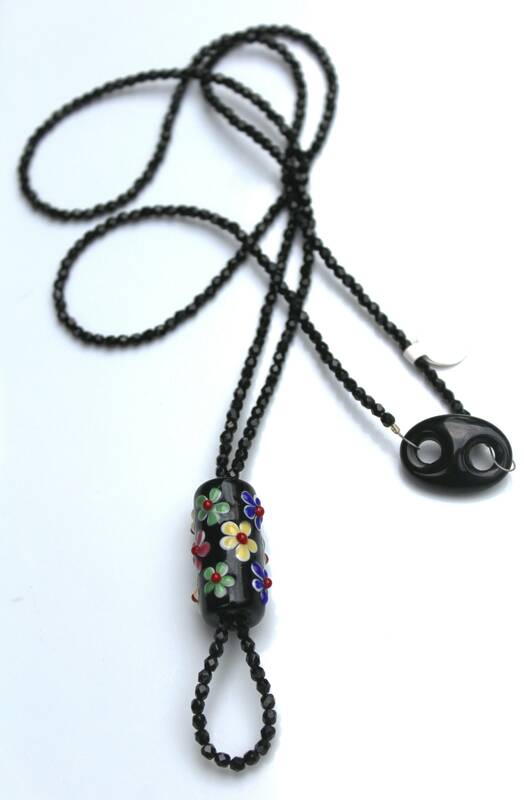 "Simply Flowers" is approximately 40 inches long. Very quick and easy transaction. Bought as a gift and she loved it.